(Pictured from left) Bill Magnuson, Mark Ghermezian and Jon<br /> Hyman are the young founders of Appboy. On the surface, Appboy's startup story would seem to echo that of many other successful tech startups. The New York City-based maker of a customer relationship management tool for mobile-device users has three young dynamos at its helm. And the company raised $2.5 million in venture funding, after launching less than a year ago. Before you cast Appboy off as yet another painfully serendipitous success story, here's a bit of background that shows how getting to this point had as much to do with hard work as it did fate. In May of 2011, Bill Magnuson, 23, and Jon Hyman, 25, were working at a hedge fund in southern Connecticut when they decided to enter the TechCrunch Disrupt Hackathon in New York City. While waiting to cross the street at a busy Manhattan intersection on their way to the final day of competition, they randomly met a friend of 28-year-old tech entrepreneur Mark Ghermezian. After Magnuson and Hyman went on to win the Hackathon, their inboxes were flooded with offers from entrepreneurs across the country to partner in different ventures. 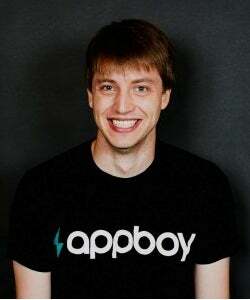 In August of 2012 the trio launched Appboy. We think their story is pretty inspiring, so Appboy is officially YE’s March Startup of the Month. 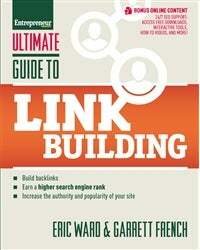 With that comes bragging rights for life, along with a copy of Entrepreneur Press’ latest book: Ultimate Guide to Link Building (Entrepreneur Press, 2013) and a digital subscription to Entrepreneur magazine. We chatted with the now 25 year-old Magnuson about starting up, overcoming obstacles and the importance of always innovating. Q: How did you determine which direction to take Appboy? A: Once we decided we were going to do this, we got involved in the app community and figured out where the pain points were for developers and where the tool sets were missing. We found that while there were a slew of tools to help people understand their customers in brick and mortar, on the web and on TV, mobile was way behind. Q: What's been your biggest challenge? A: One of the hardest things in starting Appboy and getting it off the ground was the long amount of time it takes for people to wrap their heads around our product and how to integrate it. It’s a user-facing product and requires coordination between the marketing and engineers in order to implement the goals on the product side. It requires some sophistication. It requires having a marketing strategy and having a product that you want to sell. If you’re a mobile application that doesn’t know how to make money, we don’t help you too much. Q: How have you put that $2.5 million to work? What are your future funding plans? A: The vast majority of the funding we already raised has gone into building a team. We now have 16 employees. We built out the engineering and product staff first. We’re currently raising a series A round, but unfortunately I can’t reveal those details because we’re right in the middle of it. Q: What's your best advice for aspiring young entrepreneurs? A: Trust your co-founders. It’s a lot easier when you can split up the work and everyone trusts that everything is being taken care of. You and your co-founders are making the most important decisions about the business, you are all risking your livelihood together and so it’s extremely important that you’re all in sync. You should be able to hang out with each other after work and unwind, too. Also, you have to be fully committed to your startup. Make sure you’re passionate about the product or space you’re going after. Don’t be married to the idea that you venture out of the gates with -- constantly evaluate the marketplace and always be innovating.